Nice real top grain, High quality leather. Shown in white/ light gray , but available in a variety of different fun colors. 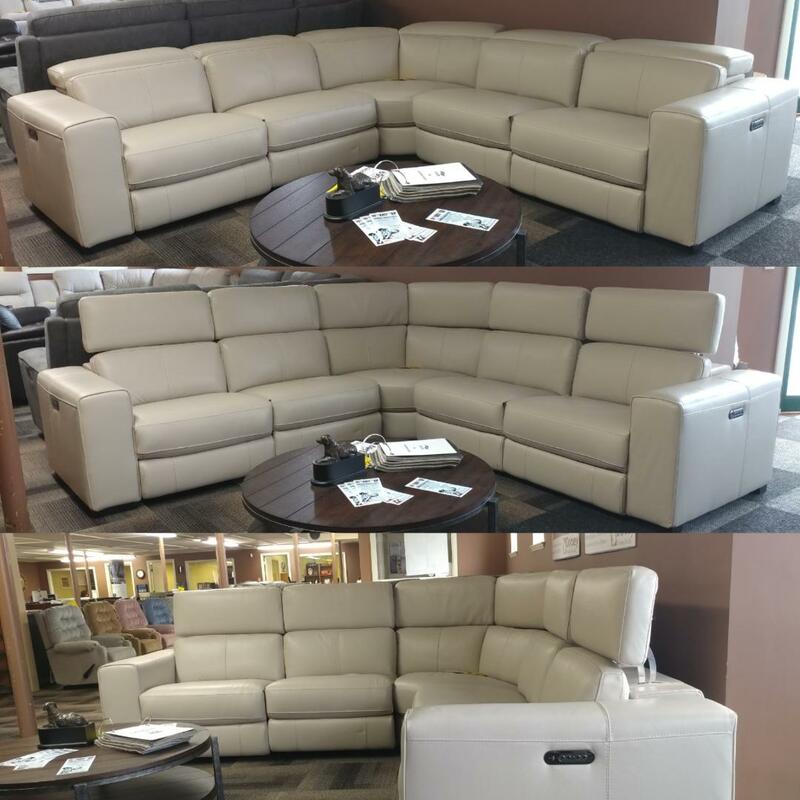 This is a contemporary set has a pile of style and comfort along with usability. The power recliners and headrest allow for a very low back and a lot of comfort.